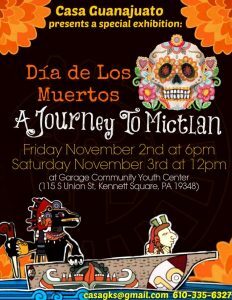 First off, Casa Guanajuato will be hosting a Dia de Muertos party featuring the Journey to Mictlan rug installations. Pop Up Art KSQ, as well as other volunteers from the Kennett area will be providing support to create their vision. An installation of 8 intricate floor installations made from dyed sawdust will illustrate the journey the ancestors have taken to the afterlife, per Aztec lore. Stop by The Garage Community Youth Center to view these tomorrow! 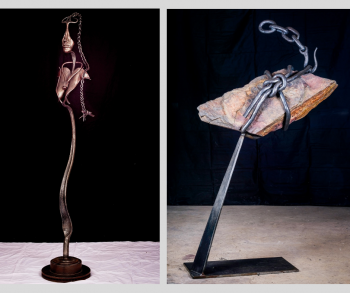 The Chalfant House, aka Century 21 will be featuring work by local metalworker/artist, Rob Sigafoos. You may recognize his work if you’ve walked around Kennett Square as he designed the k2 sculpture on State Street, as well as the outdoor signage for Philter Coffee. Exit the Chalfant House and go to Maiden Lane (just behind it) to the first stop of Pop Up Art KSQ’s Contemporary Kennett Pop Up Art Event at 226 Maiden Lane. This residence turned gallery will feature works by established and emerging artists. Metalworker, Andrew Jacob, who works under sculptor Dennis Beach, is contributing a beautiful and extensive piece entitled, “Love Me,”. Another piece of his, “Ephemera,” which is joined to the first piece in this installation, was incredibly laborious. “Ephemera,” is a set of metal roses, each which took 30 hours to create! Other artists at this site include, Racer LeVan, Caitlin Kelley, Lindsey Hardy and David Leonard. 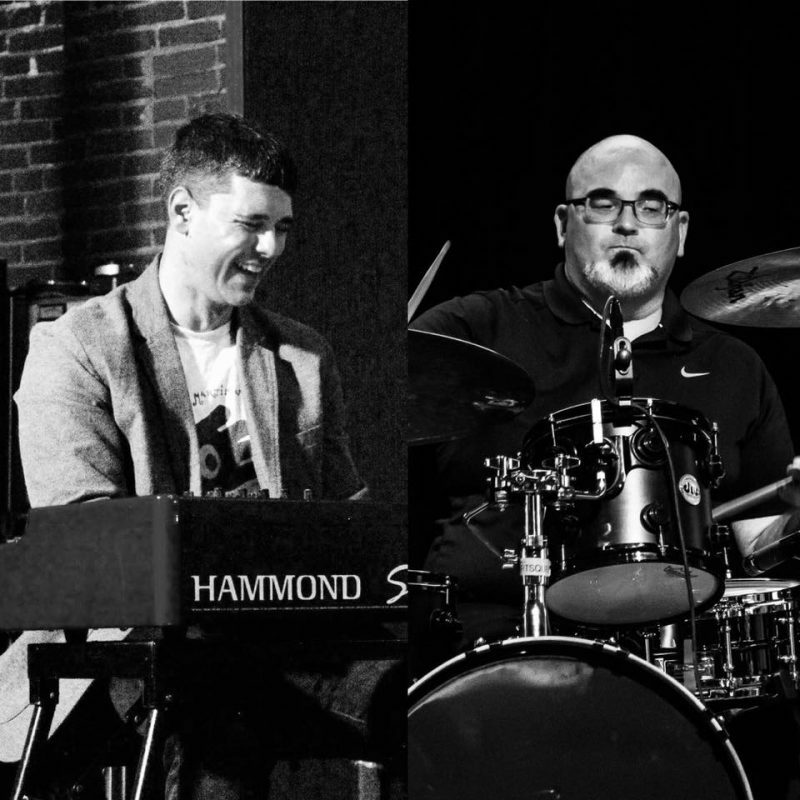 The next stop on Contemporary Kennett tour is Groove KSQ (enter from 209 Church Alley 2nd Floor). This site will be open from 5 – 9 as well, but try to time it so that you can make it in time for the live music/video collaboration between digital/video artist Lisa Marie Patzer, and musicians Bryan Tuk and David Mattock from 7-8pm. Next, relative newcomer to Kennett Square, Milou, will be hosting “un/FrAMED,” solo exhibition by Damien Smith. His casual approach to his technically detailed and traditional-style oil paintings will be on display. Meet the artist during the reception from 6 – 9 pm. Square Pear gallery will be featuring their November exhibition, “Home Is Where the Art Is,” exhibiting artwork by Kim Hoechst, Lisa Muller, Michael Buszko, Brad Earl, Matiko Mamaladze, Jack Gianguilio, Doug Elliott, Rhoda Kahler, Gwen Knapp and Sarah Yeoman. KSI Crafts (beer and wine shop across from Square Pear,) will be featuring work by new to Kennett artist and storm chaser, Rusty Nelson. His large, dramatic photographs of brewing storms, and ominous landscapes capture the vibe of storm season in the heart of America. A little Americana mixed with an other-worldly fantastic element make Rusty Nelson’s work unique. Back to Contemporary Kennett, stop by the third site known as the Treehouse at 316 S. Union Street. This location is an anchor site, as it has been featured in every Pop Up Art KSQ art walk since their creation last November in 2017. This time, check out Dan Borkoski’s 3-D photographs. You’ll be provided 3-D glasses, and the opportunity to check out a wild format of photography. The last stop on the Contemporary Kennett art tour opens t 8pm. 116 Magnolia Street will host the last grouping of artists and the official after party. The tickets to get in are available at the door for $10. You’ll receive two drink tickets, food from Grounded Gatherers and the opportunity to enjoy multiple live music acts and enjoy/purchase artwork. Featured artists include: Geoffrey Dubinsky, Becky Brakeall, Julia Jay Hardman, Traction Co. and Aubrie Costello. If you don’t make it to any of the other stops, at least aim for this one, as you’ll most likely get to meet all the other artists from the previous locations and learn more about Pop Up Art KSQ. You can also sign up for a membership here! Just to show some love for outside of Kennett location, Blue Streak Gallery will be hosting work by ten artists in their upcoming show, “Imagine”. Work on view by Lisa Bartolozzi, Maggie Debaecke, Alida Fish, Larry Holmes, Jeannie Pierce, Rick Rothrock, Lynda Schmid, Greg Silvis, Bob Straight, and Steve Tanis. Reception held from 5 – 8pm. Exhibition runs through December 4th.